If you're tired of the cold and rainy weather, then it's never too early to start thinking about the summer. 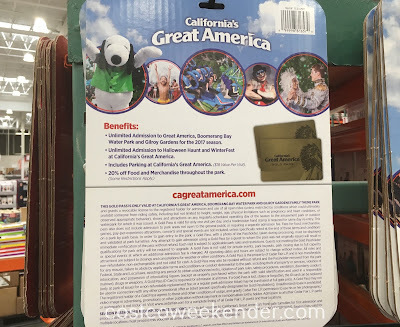 One great way to enjoy the summer is to go to California's Great America with the Great America 2017 Adult Gold Season Pass. This is perfect for both adults and kids alike. You can enjoy some classic rides like Gold Striker, Flight Deck, Demon, Vortex, and Rip Roaring Rapids (I still miss Tidal Wave though). And new for 2017 is the Patriot roller coaster too! 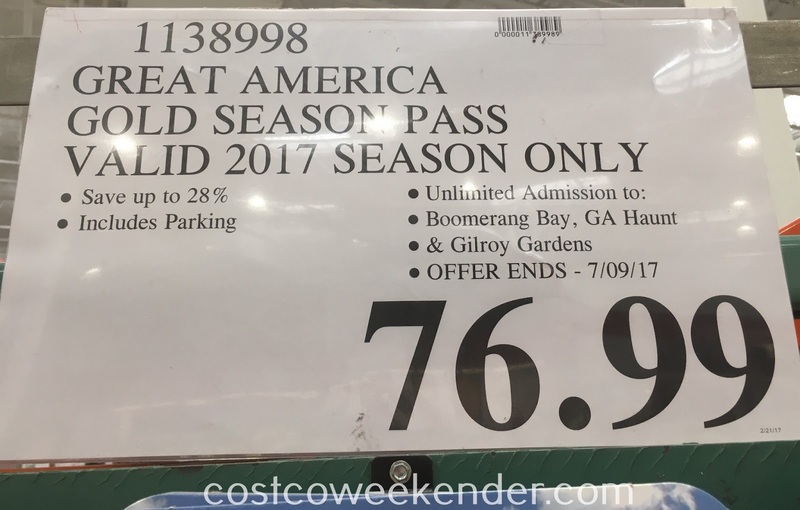 The Great America gold pass includes free parking and access to Gilroy Gardens. The fun doesn't end with summer though. You can still use the Great America 2017 Adult Gold Season Pass this Fall and Winter with access to Great America's Halloween Haunt (if you and your family is into scary zombies) and Great America's WinterFest. 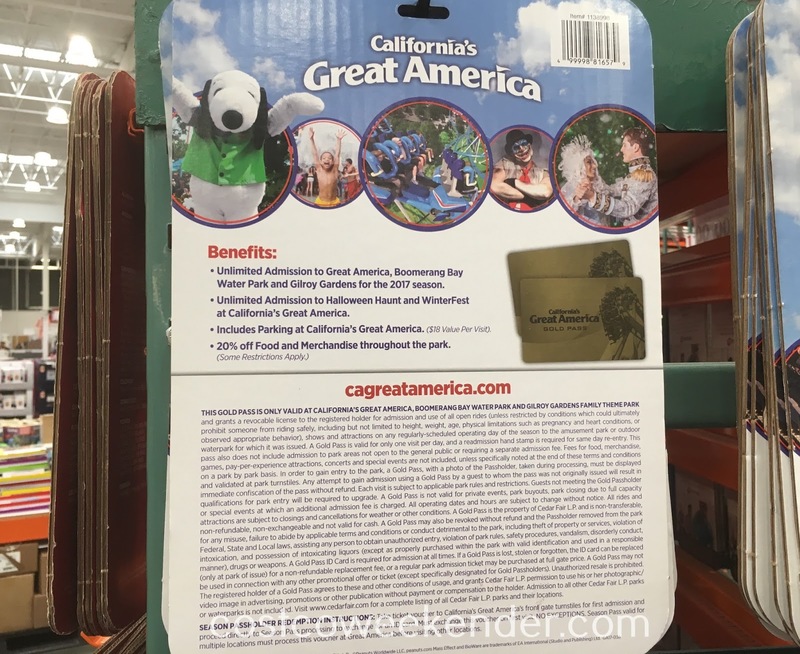 With just a minimal cost, the Great America 2017 Adult Gold Season Pass pays for itself with tons of savings while giving you loads of fun all packaged in just one pass. Take advantage of this now while it's still available at Costco because Costco will soon stop selling these. Thank you for posting!! Have a great day! You're welcome, @Emily! I hope this helps and that you have lots of fun at California's Great America this summer! Does it have bring-a-friend privilege? 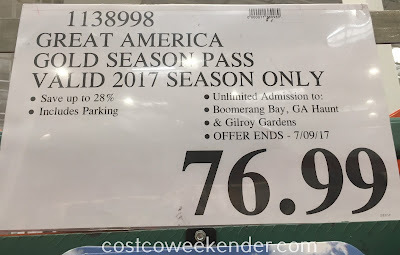 Hello @Anoop, the Great America Gold Season Pass from Costco unfortunately does not come with any guest passes or benefits for friends. It would be great if it did though.